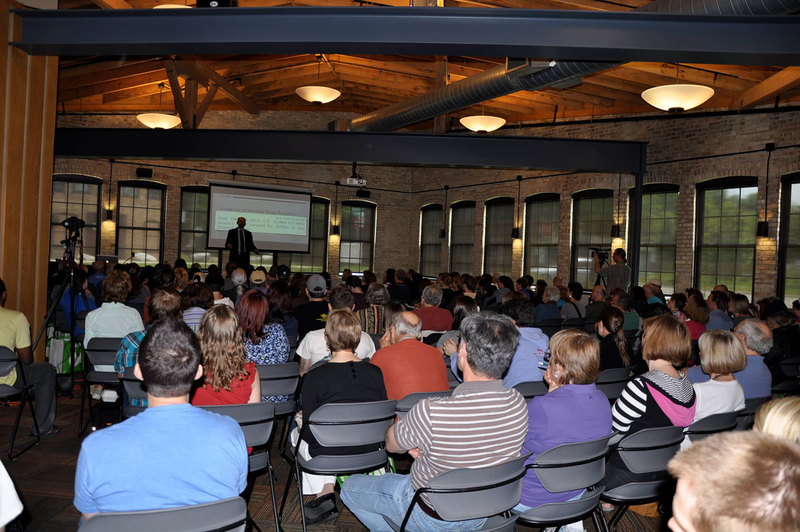 Tarazod Films was hired on June 8, 2013 to record the all-day Mad City Vegan Fest in Madison, Wisconsin. The six speakers included Julie Sinistore, Ph.D., Dr. Mary Clifton, Harold Brown, Dr. Michael Greger (who also appeared in our 2009 Mad City Chickens documentary), Victoria Moran, and Dino Sarma. It was not the easiest of shoots in such a dark, echo chamber-like setting. But it worked and the speakers were good. Photo via Mad City Vegan Fest Facebook Page.